In the following article I’ll explain exactly what Sodium Lauryl Sulfate (SLS) is. 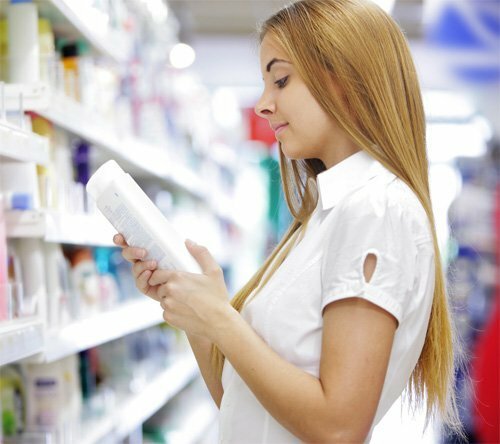 I’ll walk you through exactly why SLS is used in a huge number of personal hygiene products and provide real (unbiased) information about the potential health issues that may or may not arise as a result of using products containing the chemical. I’ll also provide an overview on what you can expect when making the switch to an SLS Free alternative. What is the Problem with SLS? Lastly I’ve saved you a lot of time by listing the top (as rated by real customers) SLS Free Products in categories such as Shampoo, Conditioners, Toothpaste, Body Wash, Soap, Infant Care and Detergent. What is Sodium Lauryl Sulfate (SLS) and why is it in my Shampoo? 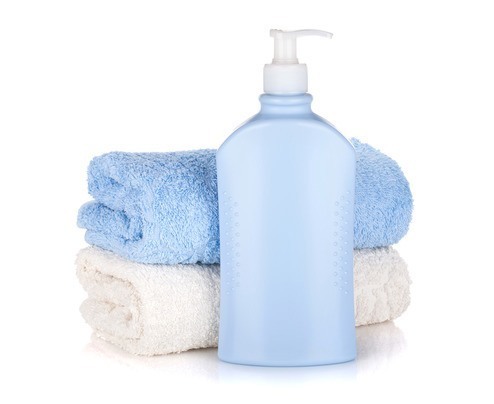 Sodium Lauryl Sulfate (commonly known as SLS) is an inexpensive detergent added to a very large number of cosmetics and personal hygiene products such as shampoos, toothpastes and soaps. In pure form it resembles a white, crystalized powder. Technically SLS is what’s known as a Surfactant (surface active agent) and an Emulsifier. Surfactants essentially break the surface tension between two liquids, or a liquid and a solid and allow for better interaction between the two. SLS also produces a lather or foaming effect due to air being immersed into the liquid due to the manual action of washing one’s hair. Foam or lather is basically just thousands of tiny air bubbles. These occur because as the surface tension of the liquid is reduced the water molecules can surround and trap the air resulting in tiny air bubbles. Subsequently the bubbles don’t help clean your hair or skin and are merely a by-product. The same effect can be achieved with water for a very short time. However as the surface tension isn’t reduced the trapped air is drawn back into the water and the bubbles disappear very quickly. Emulsifiers on the other hand are molecules that have two distinct ends e.g. a head and a tail. One end may bond with water but not oil, while the other end e.g. the tail will bond with oil but not water. Emulsifiers basically stabilize oil and water, and this allows a liquid to bind to oils and debris in your hair or on your skin that it wouldn’t normally be able to. Without an emulsifier oil and water simply won’t mix. To summarize, Sodium Lauryl Sulfate allows effective interactivity between two molecules and helps remove oily grime and debris in your hair, skin or on your teeth. Sodium Lauryl Sulfate is also known as: Sodium Dodecyl Sulphate, Lauryl Sodium Sulphate, Sodium n-Dodecyl Sulphate, Lauryl Sulphate Sodium Salt. Scaremongering or a valid concern? While it does help cleaning products perform more effectively, many people are distrustful of using products that contain SLS. After all it’s known to irritate the skin, gums and scalp. In fact it’s often used as a control irritant when testing the effectiveness of skin care products. 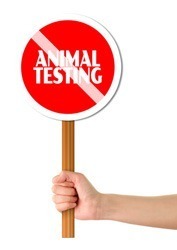 If you guessed that these tests are often carried out on animals you would be correct, but more on that later. There’s little dispute that SLS is a known skin irritant. But is it more than that? There are many who are suspicious about the long term health risks products containing SLS and SLES (Sodium Laureth Sulfate) can pose. However there are many people that will tell you that it’s completely safe. The truth is there are some valid concerns regarding SLS but unfortunately there is also a lot of unsubstantiated information that is fairly easy to discredit. There is more to the story however and many of the more credible questions being asked about SLS and SLES are being ignored. Isn’t it made from Coconuts? Wouldn’t that make it a ‘Natural’ Product? Not really. When you stop and consider it, just about everything you can think of had some kind of natural origin at some point. It’s the process it goes through that makes it what it is. 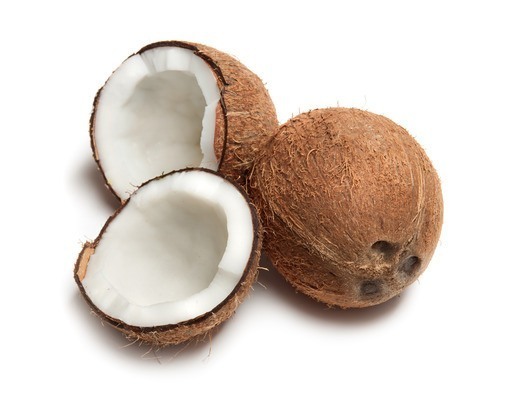 In the case of ‘Coconut Oil’ the end result is a long way from natural. Lauryl Alcohol is then extracted from these fatty acids. The Lauryl Alcohol is then synthesized with Sulfur Trioxide Gas or Chlorosulfuric Acid or to create Sodium Lauryl Sulfate. The extraction and synthesis process is far more detailed than this but for the purpose of this article I’m sure you can see my point that any company promoting their ingredients as ‘natural’ that contain either SLS or SLES are not being completely honest with you. Sodium Lauryl Sulfate can be derived from either Petroleum or Coconut Oil and it really makes no difference to the end result. Natural? It wouldn’t appear so. Let’s take things back a step and explain the origins of the supposed connection between SLS and Cancer. In the late 80’s a chain letter email was circulated claiming that SLS WAS a cause of Cancer, the author claimed to work at the University of Pennsylvania which gave credibility to the email and subsequently it got plenty of attention. The email has since been proven to be fake and the University of Pennsylvania has denied any knowledge of the email. Regardless, talk still persists to this day about the potential dangers of SLS, particularly concerning a link to Cancer and damage to the central nervous system. So while a bogus email put SLS firmly in the spotlight with consumers, as a result of the email being fake many are quick to discredit any health concerns associated with SLS. Therefore there is healthy debate about its ‘perceived’ dangers. In the interest of providing both sides of the story the section below outlines the argument for and against SLS being carcinogenic. Make no mistake, SLS ISN’T identified as a Carcinogen however it is a known skin irritant. To combat its ability to irritate the skin it will often be Ethoxylated, meaning Ethylene Oxide is added. All we really need to understand about Ethylene Oxide is once it’s added to SLS it becomes a compound chemical known as Sodium Laureth Sulfate (SLES). During this process it can potentially be contaminated with 1,4 Dioxane which is listed as a possible Carcinogen by the U.S. Environmental Protection Agency. Ethylene Oxide also has the potential to cause damage to the central nervous system, liver, kidneys and eyes as covered here by the National Library of Medicine. So while it’s simple for manufacturers who produce products containing SLS to deny claims that SLS can cause Cancer the truth is it’s reliant on the manufacturing process to a large degree. This ultimately means we are placing a lot of trust in the manufacturers of these cosmetics as there is no mandatory testing required before being released to the public. While these is no dispute over SLS’s ability to irritate the skin there are a number of people quick to defend it’s use as an effective cleaning agent in personal hygiene products, especially when linked to Cancer. For one the American Cancer Council believe there is no connection between the two and secondly it makes sense that ‘organic’ or ‘natural’ product companies would be quick to demonize any chemical ingredients found in shampoos and toothpastes to help promote their own ‘natural’ products. Many who are against the use of Sodium Lauryl Sulfate also point to the the fact that cancer rates are increasing and blame some of this on chemicals such as SLS and SLES. This is a reasonable argument to make except for the fact that they aren’t. The truth is Cancer rates have actually been on the decline since 1988. This is most likely due to increased awareness of the known causes of Cancer but either way Cancer rates are certainly not on the increase as those who campaign against SLS and SLES might otherwise claim. Lastly there are those who emphasis the fact that SLS is also used in a number of industrial cleaning products including engine degreaser and high strength detergents. 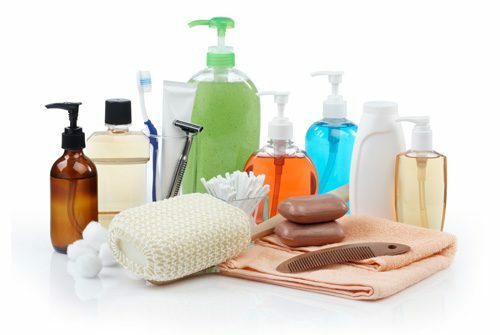 The fact is there are any number of chemicals used in industrial products and cosmetics such as Polyethylene Glycol. Just because they are used in this capacity does not mean the chemical is dangerous. Alternatively there are a number of ‘natural’ products than could be considered dangerous e.g. Tea Tree Oil which is considered quite toxic in undiluted form. One of the problems you might notice after reading through some of the articles published on Sodium Lauryl Sulfate is there is very little that address the long term effects it may have on the body. There are a number of reasons for this, mainly this kind of testing is very difficult to undertake and secondly the effect chemicals may or may not have on the human body can be impacted by other ingredients. As you are aware, most toothpastes and shampoos include a large amount of chemical ingredients, including detergents such as SLS and SLES, Preservatives such as Imidazolidinyl Urea and PH Balancers such as Citric Acid. How these chemicals interact with each other can of course alter the effect they can have on our bodies. As a result, testing of chemicals such as SLS are not performed over a long period where residual levels may build up over time and a compound effect is created. It’s widely accepted that the human body absorbs SLS for up to 4-5 days. If you wash your hair every day for instance or brush three times a day these levels will increase dramatically with time. Sodium Lauryl Sulfate appears to be safe in formulations designed for discontinuous, brief use followed by thorough rinsing from the surface of the skin. In products intended for prolonged contact with skin, concentrations should not exceed 1%. Unfortunately you wont find these percentages listed on most personal hygiene product labels. However it is believed that the percentage of SLS found in many shampoos for instance can exceed these recommendations by a considerable amount. In some cases levels have been reported as high as 20% and more. It’s also inevitable that shampoo will occasionally get in our eyes when washing our hair and that can’t easily be rinsed away. Considering the corrosive nature of SLS and the sensitivity of our eyes it would be logical to assume that SLS could negatively effect our eyes, especially in children where development is still occurring. It’s a valid concern that the long term effects are largely unknown. Let’s face it we all wash our hair, brush our teeth and clean our skin on a regular basis. Toothpastes can also be absorbed or even swallowed, in fact if swallowed SLS can be responsible for Nausea and Diarrhea. It is generally considered to be more of a health issue if absorbed by the skin however enzymes in the mouth will break down the chemical more effectively than your skin. A major concern here is that of dental hygiene for young children. As a parent I know that young children will swallow toothpaste- children learn more about the world around them by tasting and touching. Regardless of your opinion regarding a link to Cancer and SLS, the chemical can still upset an infant’s stomach. Luckily there are a number of SLS Free toothpastes designed for children. In acute ocular tests, 10% Sodium Lauryl Sulfate caused corneal damage to the rabbits’ eyes if not irrigated, or if irrigation was delayed. A Draize test of a product containing 5.1% Sodium Lauryl Sulfate caused mild irritation, and products containing 21% detergent were severely irritating with no rinse, and mildly irritating when rinsed. It should be noted that cosmetics containing Sodium Lauryl Sulfate or Sodium Laureth Sulfate may have undergone animal testing at some stage. The solution (e.g. a percentage of SLS combined with accompanying ingredients) is sometimes dispersed directly into the subject’s eyes. The Panel wishes to point out that these two ingredients produce eye and/or skin irritation in experimental animals and in some human test subjects. changes to the area of the skin of mice to which it was applied. 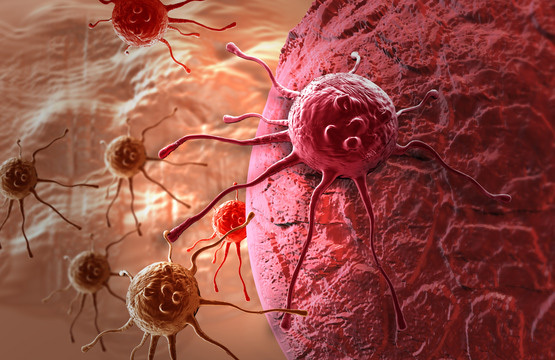 This study indicates a need for tumor-enhancing activity assays. A Danger to Marine Life? There is also the documented damage SLS can cause to aquatic wild life. In fact the Pesticide Action Network identifies SLS as harmful to marine wild life and the environment in general. Basically any surfactant can be harmful to marine life. As SLS is extremely corrosive it can damage the mucus layer in fish and other aquatic animals. Fish for instance rely on this to ward off bacteria. It’s estimated that this will kill fish at 15 parts per million and considerably lower the production of fish eggs. Consider where most of these products containing SLS end up.For the most part they get flushed down bathroom drains, into the storm water network and then deposited into the ocean. While the ocean is vast, consider how much of this chemical get’s flushed into our waterways from shampoos, toothpastes, soap residue, laundry detergents…you get the idea. Should you decide to make the switch you will notice an immediate difference when using an SLS Free product. Firstly you will notice the amount of lather or foam produced is substantially less and secondly in products such as toothpaste you will notice a difference in taste. When it comes to toothpastes you may need to experiment with a few brands until you find one that works for you. Some organic toothpastes can be a little difficult to get used to. Don’t be surprised if your children aren’t overjoyed with the taste initially. Switching to an SLS Free shampoo may also take some adjustment. Most organic shampoos do not produce as much lather as shampoos that contain sulfates. This can give the impression that your hair is less clean. This is because Sulfates strip natural oils from your hair thus leaving your hair and scalp feeling very dried out. This is often mistakenly associated with feeling clean. In the following section I will be listing the most popular SLS Free products based on real consumer feedback and ratings. While you are no doubt aware of SLS Free toothpastes and shampoos you may be surprised to know there are a number of SLS Free products including body wash, soaps and even detergents for cleaning. The aim of the following section it to save you time by highlighting those products that have been reviewed favorably and those that definitely do not contain SLS or SLES. Many people unknowingly buy what they consider an SLS free product because it is labelled ‘Natural’ or ‘Organic’. The truth is these words get used far too often. Please note prices and ratings are current as of time of writing. To read more including testimonials and a full list of ingredients simply click the product image. Should we trust products that contain SLS? After researching and writing about SLS for a number of years I avoid products that contain SLS. I do this for a number of reasons. Firstly SLS is a known skin irritant, anyone with any form of skin irritation is advised to try a non SLS product. Secondly while there are plenty of compelling facts supporting both arguments when it comes to more serious health issues including damage to the central nervous system and cancer, there are too many unanswered questions. 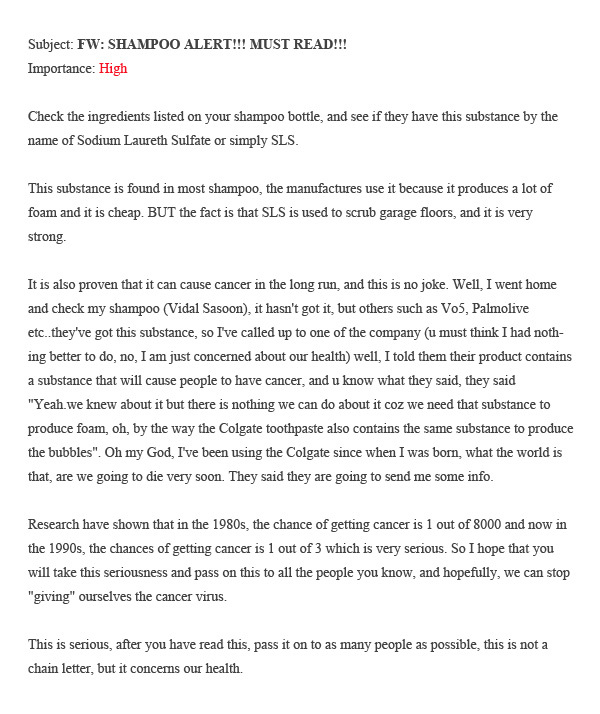 Personally I don’t believe SLS is a direct cause of cancer (there is no direct evidence to support this) but I’m not prepared to test this theory out. Even taking the cancer question away for a moment, should we really be using products that contain chemical ingredients that are known to be corrosive to the skin and can cause irritation?